New Yorkers looking to scale the city's tallest building will have their chance in May -- and for a good cause, too. The Stephen Siller Tunnel to Towers Foundation and Captain Billy Burke Foundation, charities that help the families of 9/11 first responders and military veterans, announced the first stair climb at One World Trade Center Monday. Participants of the "Tower Climb" will ascend 180 flights of stairs to the 90th floor on May 17. Stephen Siller was an FDNY veteran who heroically ran through the then-named Brooklyn Battery Tunnel to the World Trade Center on 9/11. He left behind a wife and five children. For those who are looking to help the charity without breaking a sweat, a "virtual run up" is also available. For more information, visit t2ttowerclimb.nyc. The National September 11 Memorial & Museum also announced that "Daily Show" host Jon Stewart will be honorary chair of its 9/11 Memorial 5K Run/Walk and Family Day on April 26. 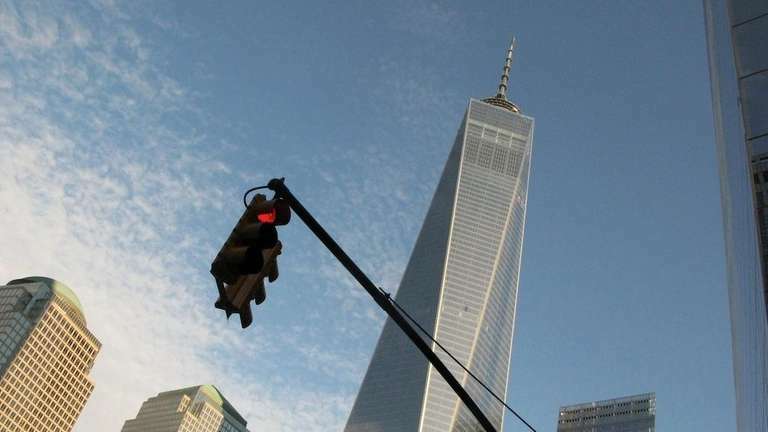 "He is a leading voice for this city and in this country, and a longtime supporter of our institution and the men and women behind the recovery and rebuilding of the World Trade Center," 9/11 Memorial president Joe Daniels said in a statement.